New York City FC is one of two Major League Soccer (MLS) clubs based in the New York metropolitan area. Launched in 2013, the team is the sister club to European giants Manchester City and has seen many star players join the active squad because of this. Since joining the league in 2015, the club has seen some pretty good performance. On this page, we ha ve a look at the odds bettors may face when betting on New York City FC. New York City FC has only been active in the MLS since 2015. Thus, bettors really have very little to go on. In their first season in the league, the club did rather poorly, finishing second last on overall standings. As a general rule, betting on new teams is rather volatile as they need to adapt to the learning curve. Famous former France and Arsenal midfielder, Patrick Viera, was then brought in to take the mantle of coach. Under Viera, the team began to prosper with both senior and junior players beginning to show strong form. Viera was able to take the club to the semi-finals of the Eastern Conference in 2017. However, following this performance, the team underwent a massive overhaul, which would see more than ten players depart the squad. Viera himself would also leave to go take up managerial duties at Ligue I side, Nice. NYFC then hired former Barcelona assistant manager Domènec Torrent to replace Viera, who had previously worked under the Pep Guardiola at Bayern Munich and Manchester City too. In 2018, under the leadership of Torrent, the side would go on to make it the Conference semi-finals before bowing out to Atlanta United FC. 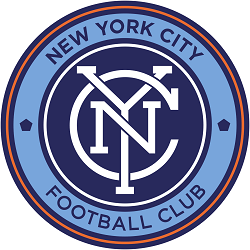 It is important to note that Manchester City FC is the parent club of NYFC. This means that the team is required to make use of the Designated Player Rule. In the past, this has led to many big soccer names being included in the squad, such as David Villa and Frank Lampard. With the team’s overall good history thus far, we would not fault any bettor who would like to place a future on NYFC. They have not yet made it to a Conference Final, but it seems that they’re well on their way.